Sematext provides a single pane of glass and machine learning powered alerts for logs, metrics, traces and user experience data. Sematext Cloud provides advanced monitoring, logging and tracing for all Docker platforms such as Docker EE, Kubernetes, GKE, AWS ECS, and IBM Cloud. 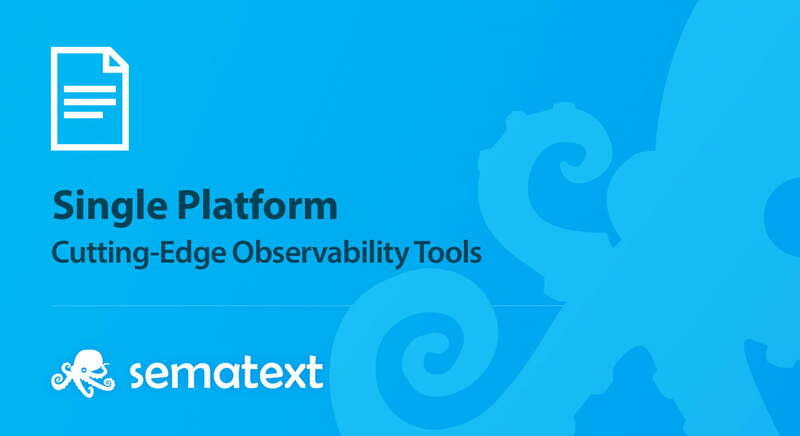 Sematext’s new monitoring agent leverages the powerful eBPF Linux kernel observability functionality and uses the Kubernetes API to enrich the container and cluster level metrics. The new agent automatically gathers information about all installed software packages, thus providing organizations with another form of infrastructure observability and helping them improve their security posture. The upcoming release includes the service auto-discovery that automatically finds applications running inside containers and auto-configures monitoring for more than 40 integrated technologies such as JVM, SQL/NoSQL databases, search engines, message queues, and web servers — a huge time saver for the setup of monitoring tools. Logagent, Sematext’s open-source log shipper, simplifies parsing of container logs by detecting various log formats out of the box. Buffering logs in critical situations ensures reliable log delivery via secure TLS connections to Sematext Cloud.